Believe it or not, this is a very common question when it comes to a pump’s hydraulic performance. The answer is usually pretty simple but can be hard to pin-point because there are various possible causes. Let’s go over a few reasons why your pump’s performance isn’t aligning with its published curve. Make sure you don’t have a restricted suction line and that the pump is rotating in the correct direction. Is the pump is properly primed? Remember, you cannot vent a running pump because the lighter air will stay in the middle of the casing and heavier fluid will move to the outside. Air entrainment, even at just two to four percent, will air bind a standard pump. It is also important to maintain a sufficient net positive suction head (NPSHA) margin. If you are using a suction lift system, where the fluid source is below the impeller centerline, check for air leaks on the suction side. Remember, the fluid will not leak out, but air will leak in. The maximum suction lift at sea level is less than 34 feet under perfect conditions. In the real world with friction and vapor pressure, it is less. Practical lifts are usually less than 26 feet. Problems are more likely to occur at high altitudes above sea level, with warmer fluids and with vertical lifts approaching 30 feet. Worn components can also be a factor when comparing actual performance against a performance curve. If the impeller clearance of the front cover is not set properly or has opened up due to wear, efficiency of the pump will be decreased and you will see a loss in performance. The casing can also see wear that can decrease performance. 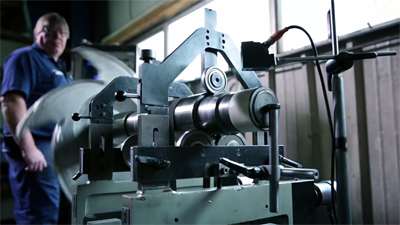 The cutwater, the point in the casing that turns centrifugal force into pressure, can be washed out which will result in reduced efficiency as well. 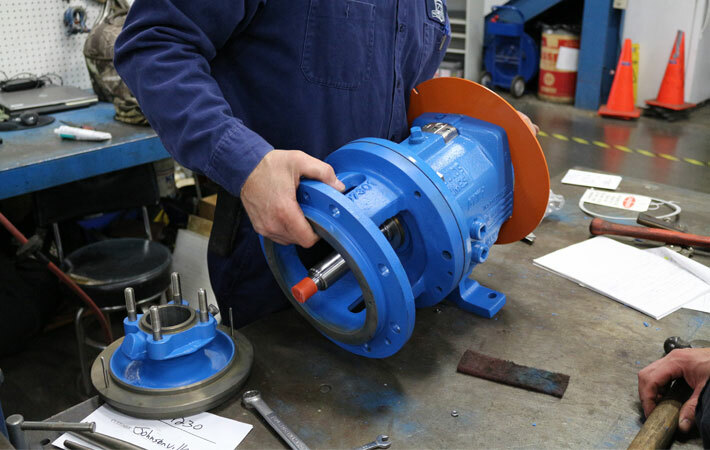 When troubleshooting pumps, it isn’t uncommon to find that the wrong impeller has been installed during maintenance, or that the correct impeller has been installed but in the wrong diameter. It is always important to confirm that the way you are measuring performance is accurate. If your data is flawed, your results won’t be correct either way. Check to make sure gauges and flowmeters are calibrated correctly. Readings should be taken as close to the pump as possible. Keep in mind that a single gauge on the discharge is only measuring discharge pressure, not the differential pressure (the pressure the pump is accomplishing per the curve). As the suction conditions change (example: supply tank increasing or decreasing level), the discharge pressure may change while the pump is operating close to the same point on the curve. If gauges are not available, it is important to walk the system to make sure auxiliary equipment and piping are as expected when friction calculations were done. Check the valve positions to make sure they are in the proper position and recount elbows, length of pipe, etc. Re-check the friction calculations to make sure that the system curve you are evaluating the pump curve with is accurate. 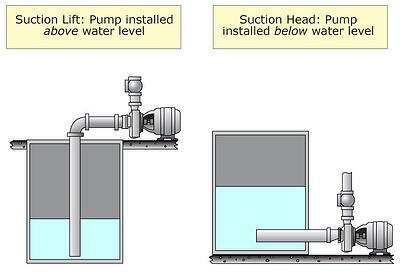 When a pump is operated at either end of its curve, you will usually run into issues like cavitation, separation and recirculation. A manufacturer’s pump performance curve is based on pumping water at ambient temperature, with specific gravity of 1.0 and a viscosity of less than 30 centipoise (cP). When pumping a fluid other than water, like slurry, the curve may need to be adjusted or corrected for viscosity. The horsepower requirements will be different for different specific gravities as well. Field-test the pump by operating at a few different places on the curve. You can accomplish this by manipulating the discharge valve. Carefully operate the pump at shutoff (maximum head at zero flow) just long enough to record a discharge pressure. Operate at a few more points of increasing flow. If the measured performance does not meet curve expectations at shutoff or anywhere else on the curve, then the issue is likely wear, opened clearances, wrong size impeller or incorrect speed. If the performance meets curve expectations at shutoff but drops off from the curve as the flow increase, then the issue is likely a starved suction, insufficient NPSHA, inadequate submergence or air binding. Most pump manufacturers in North American test and report pump performance in accordance with Hydraulic Institute / ASME specification 14.6, where depending on the selected test grade the specification will offer some small acceptable tolerance between the published curve and actual pump performance. 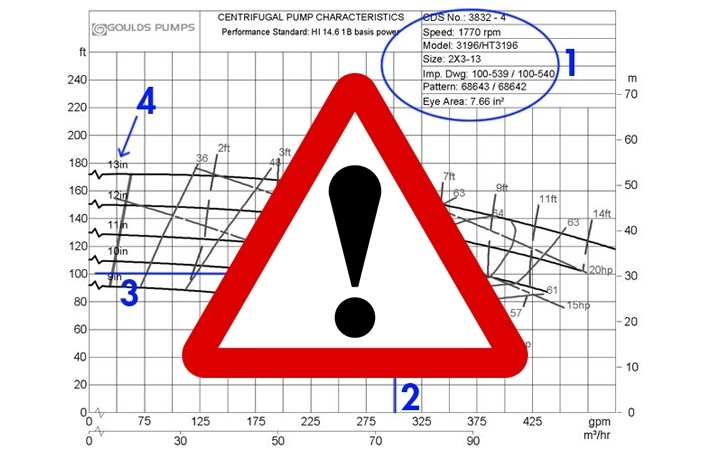 If you're unsure how to read a pump performance curve, check out the video below. 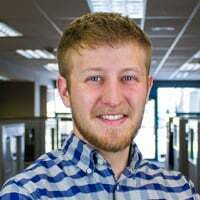 Jordan Daun, an application engineer here at Crane Engineering, explains the details. 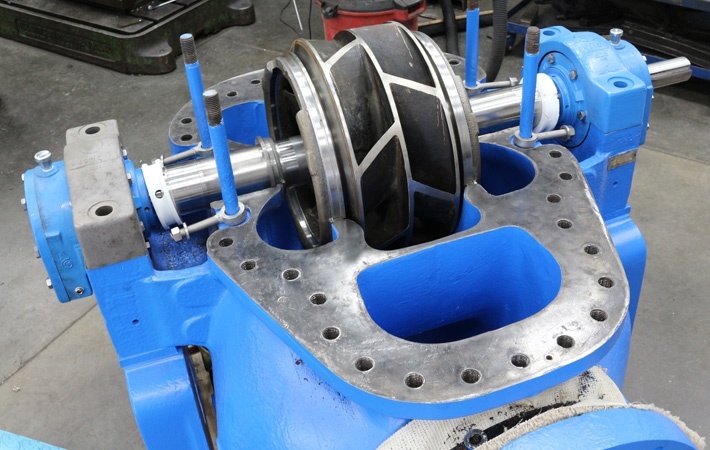 For more information, check out our "How To Read a Centrifugal Pump Curve" blog post.